ReVision Energy recently welcomed volunteers to our 7,000 sq ft facility in North Andover, MA to begin building portable emergency power and water purification units for devastated communities in Puerto Rico. 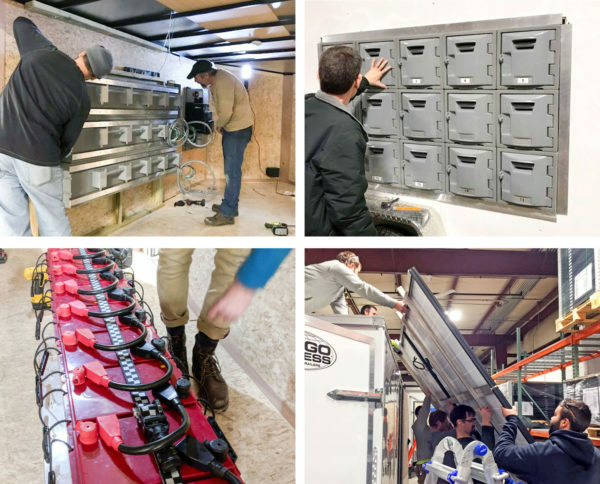 Each unit is comprised of a trailer with solar electric panels, battery storage, water purification, lights and charging ports for small electronics. Volunteers from ReVision Energy, Aegis Renewables, PV Squared, SunBug Solar, Amurtel, MIT, and others made good progress toward completing the first three trailers. We are grateful to all who participated!